I'm not really much of a DNFer. Normally I will stick with a book even if I'm hating every second of reading it. Lately I've realized that's not really the most logical position. 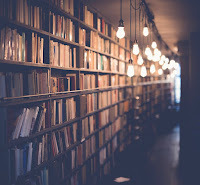 I have thousands and thousands of books that are waiting for me to read them and I will most likely love most of them. So why am I wasting my too scarce reading time on a book that I just don't like? This is probably more DNFs than I've ever had but I am glad that I'm getting better about recognizing that a book just isn't for me. 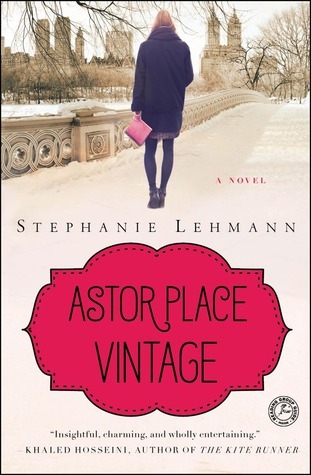 Astor Place Vintage by Stephanie Lehman - I really wanted to love this. I love dual timelines, I love vintage clothes, and I actually own a piece of china that my great-grandparents bought at the Wannamakers in Manhattan in the early 1900s which overlaps with on of the timelines in this book so there was even an extra bit of personal connection. However, I just couldn't get into it. Both present and past voices were exactly the same and both unlikable. I could never connect with the characters or get into the plot which felt a bit like reading a deposition. 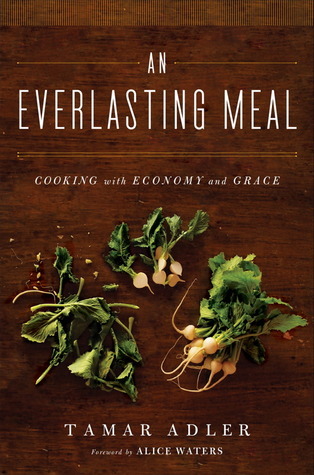 An Everlasting Meal by Tamar Adler - This is another one I really wanted to love. I love foodie books and I love the idea of cooking with what's on hand and to suit your mood neither of which I'm particularly great at doing. She does a lot of contemplating of vegetables or other simple ingredients which for a chapter or two is interesting and even at times inspiring but after two chapters turns into three and then more it kind of became redundant. I am intrigued by the parsley oil and there are a number of very simple dishes that she makes that sound tasty. However, after investing 120 pages of time into it I just simply couldn't make myself pick the book up again. Honestly I was just bored with it. 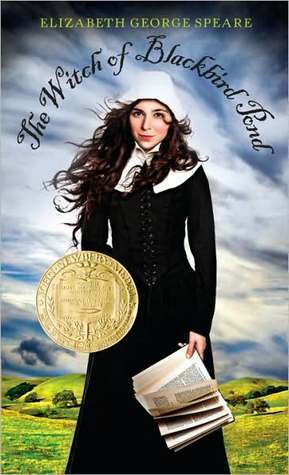 The Witch of Blackbird Pond by Elizabeth George Speare - This was one of my favorite books as a child so I was really excited to listen to it. I'm not disputing that this is well written and well executed but I just couldn't get into it. I felt so sorry for Kit who was clearly out of her element and completely blindsided by the difference in the new community she lands in after a fairly carefree life in Barbados that it became unpleasant to listen to. I think my issue is that this isn't what I want out of a Middle Grade fiction right now. I don't mind more serious tone but I am looking for an adventure theme and this just felt grueling and cheerless. I do believe this is a case of "It's not you, it's me" but I'm trying to get better at ditching books that I'm really not enjoying and this was definitely the case here. 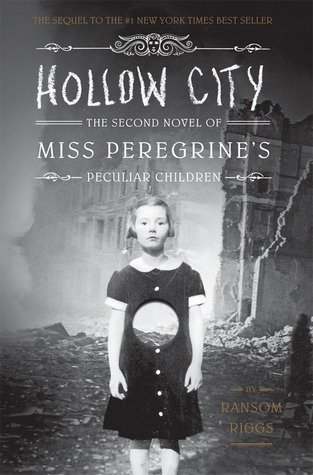 Hollow City by Ransom Riggs - I really enjoyed Miss Peregrine's Home For Peculiar Children. It had such a delightful weirdness and was such a fun short little story with some creepiness and a selection of truly bizarre vintage photos thrown in for good measure. I expect to love this one just as much but right from the start it fell flat for me. It was missing the quirkiness that I had so enjoyed in the first book and just felt too long and cumbersome. It wasn't awful but when I was able to put it down for a week and had zero interest in picking it back up I figured it was time to let it go. 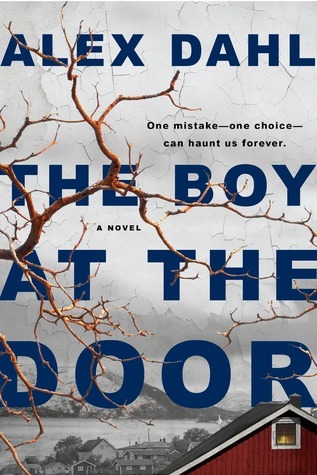 The Boy at the Door by Alex Dahl - I really wanted to love this. I've been enjoying thrillers lately and the fact that this is one set in Norway really intrigued me. I feel like I could have dealt with the fact that the main character was so incredibly unlikable but I just couldn't get past that the premise was so unlikely. I live in a community similar to what she described (though in the States) and there is no way that the people at the swimming pool would have released the child they didn't know into the custody of an adult who was a stranger to the child and Cecilia's actions following this were equally unbelievable. Coupled with the fact I felt the writing was a bit clunky and the fact that Cecilia is just the worst I decided this one just wasn't for me. I do think my experience did hamper my enjoyment of the book somewhat as I just couldn't get past what to me felt too absurd. What have you DNF'd this year? Yes there are too many books to continue with ones you don't enjoy. It is so hard though when you want to love a book. I haven't had many that I have had to put down this year thankfully. I've always struggled reading The Witch of Blackbird Pond. I never read it as a child, and I've picked it up a number of times, but I never could get into it. I was commenting yesterday that a lot of the Newbery winners seemed to have been picked for theme and/or message alone with no regard to whether a Middle Grade aged reader would be interested in reading it. What good is the message it imparts if most of that readership isn't going to finish the book? You're looking at Queen DNFer here! A book gets one chance with me and if I'm bored or not enjoying it, it gets DNFed and sent to a charity shop! I'm lucky that I've always had this mindset for books and I never feel bad about it. After all, we can't love everything and DNFing doesn't mean it's a bad book, just not for me. Time to move on to other booky adventures! I don't mind DNF-ing a book either. I guess there might have been a time in my life when I struggled through, but I don't remember it. Life is too short and I have way too many books that I want to read. That being said, to each his/her own way. And his/her own type of book. What I like, someone else won't and visa versa. I read The Witch of Blackbird Pond as an adult at the the suggestion of my daughter's elementary school librarian. She suggested a ton of books for me when I volunteered for her many years ago. I remember liking it, but I have a soft spot for the 'witch' theme. I ought to try it again on audio perhaps. I've been curious about The Boy At the Door, but haven't started it yet. I do have an advance copy. We'll see. I’m trying really hard to get better at DNFing. I have so many unread books sitting around that I shouldn’t be wasting time on the bad ones. I should have DNFed The Witch of Blackbird Pond, too. I thought it was boring. I may try the Immortalists again as I just wasn't in the mood when I got it from library the first time after just reading a chapter. Until the last few years I would never quit a book until the last word. But then I too realized that wasting time on a dud when there are so many awesome books out there wasn't the best idea. I still hate not finishing a book though. I've learned to DNF but it still rarely happens. I gave up on one arc this winter because I had a hard time with the plot while caring for my mother (immediately after my father died). It was more on me because reviews were 4 and 5 stars on GR. I had to let it go though. I was relieved that the publicist understood. I rarely DNF but then I choose carefully. Occasionally I speed read one that could easily be a DNF. 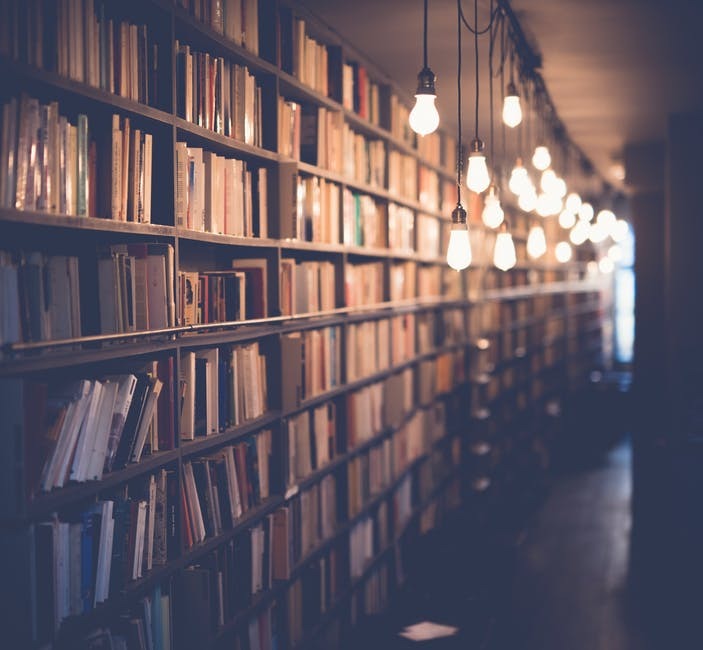 Totally agree too many books to love so no time to waste on books that aren't grabbing us.